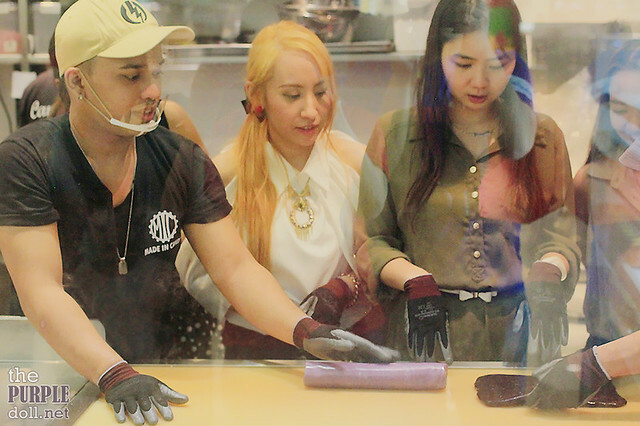 Made in Candy: I got to make candy at SM Megamall! Have you seen this candy shop in SM Megamall? 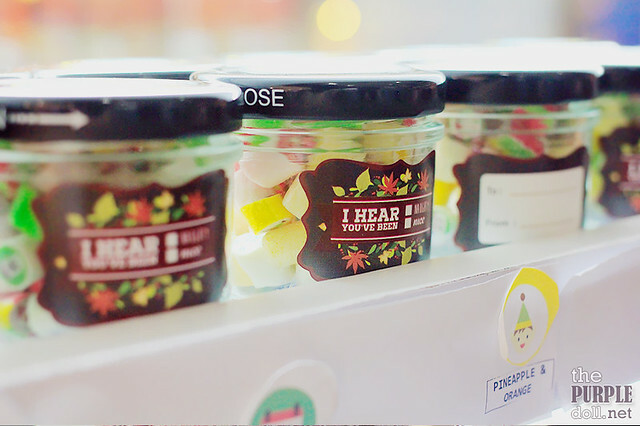 Unlike most candy stores which sport a colorful, toy shop-like feel, Made in Candy which originated in Singapore, flaunts a more sophisticated, mature and edgy vibe with its sleek store front. 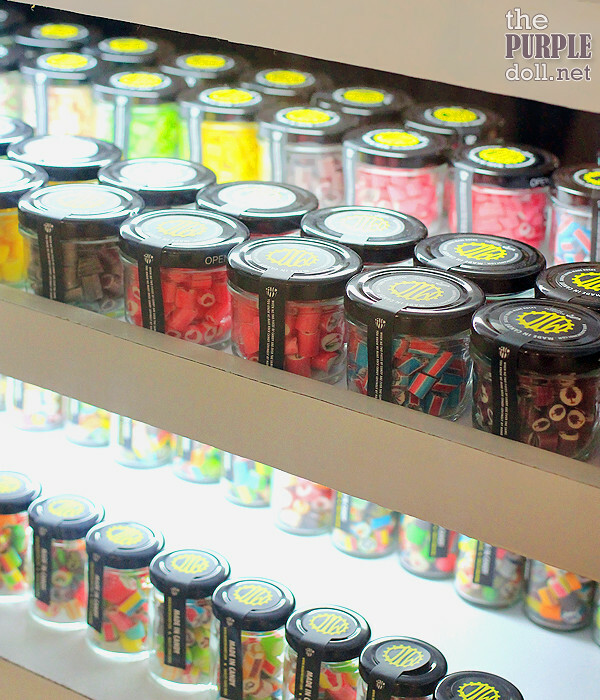 Actually, if it wasn't for my friend Berylle, I wouldn't have noticed that this is indeed a candy shop! But it's not to say that Made in Candy isn't enticing. In fact, when the candy-making session starts, a lot of people would flock the open candy workshop through the store's ceiling-to-floor window. And this is just what I got to experience with my friends Berylle, Stacy and Roch last Saturday as we got to try our hands on actual candy making. 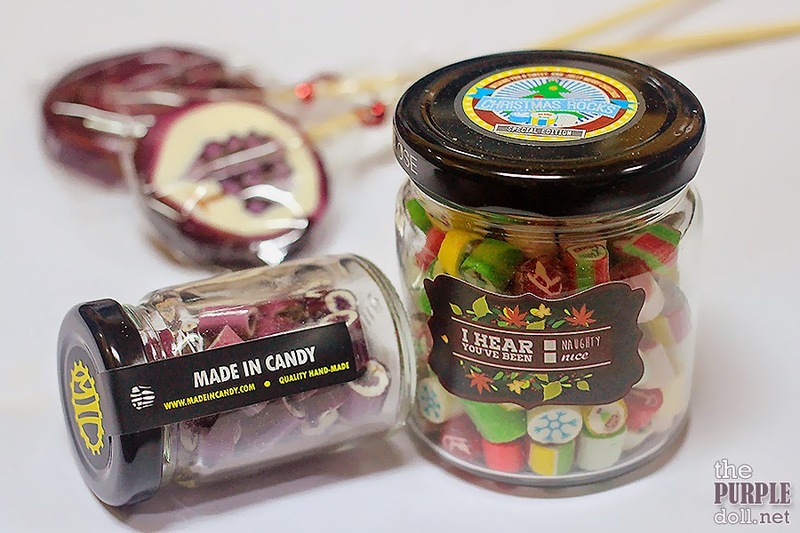 But before I share the whole process of making candy, let me show you first some of the fun, colorful and traditionally-made hard candies available at Made in Candy. 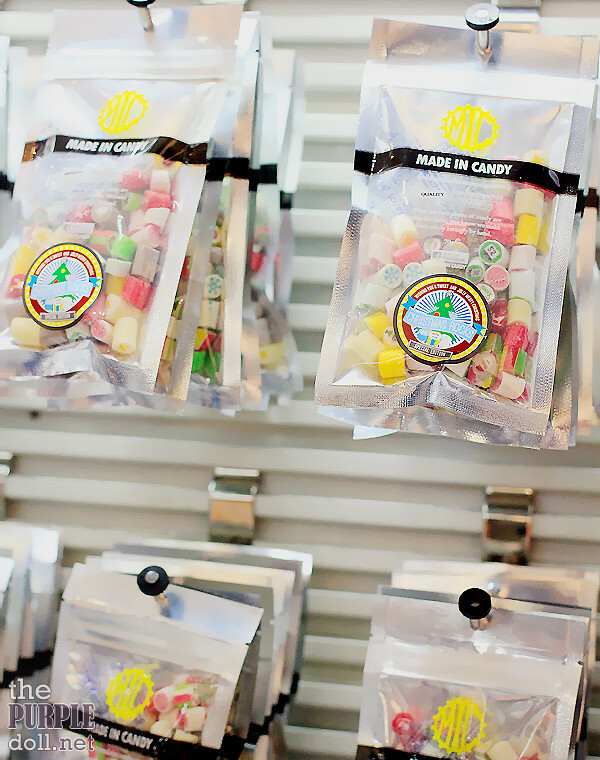 Unlike mass-produced candies, Made in Candy offers artisan candies -- handmade, hand-pulled and even customizable. Yup, you read it right! 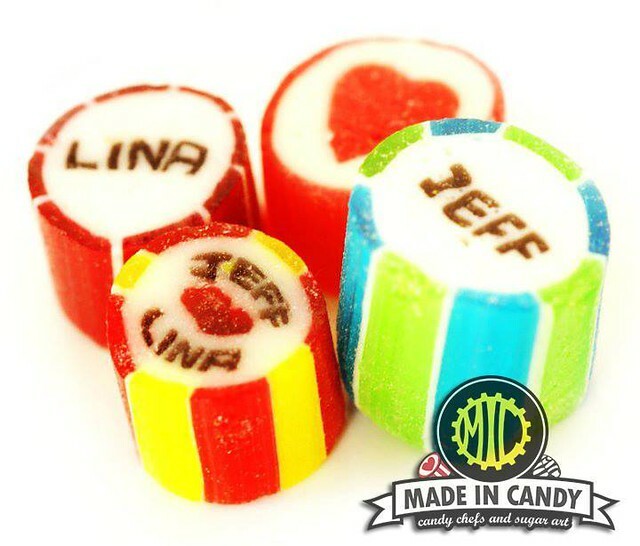 You can order personalized candies with your name, you and your special someone's initials, or even your company's logo! 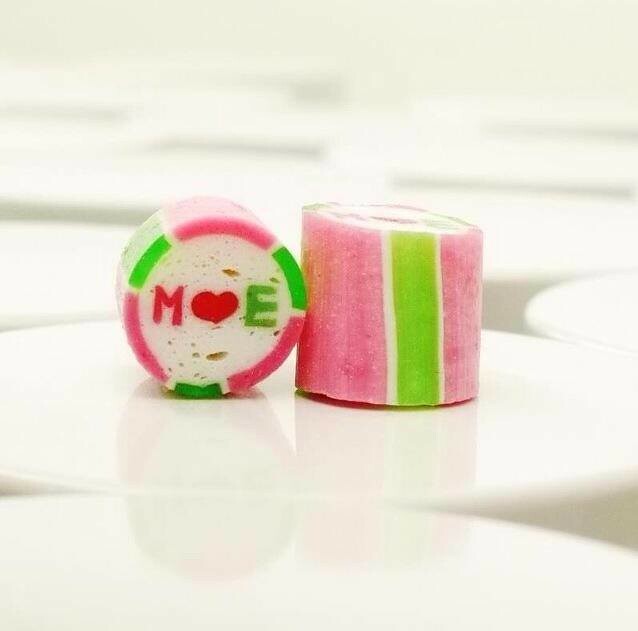 This makes Made in Candy treats the perfect goodie for giveaways. The first step is to boil the sugar mixture (sugar, glucose and water) for about 20 minutes, which the candymen (what Made in Candy calls its candy artists) already did for us. 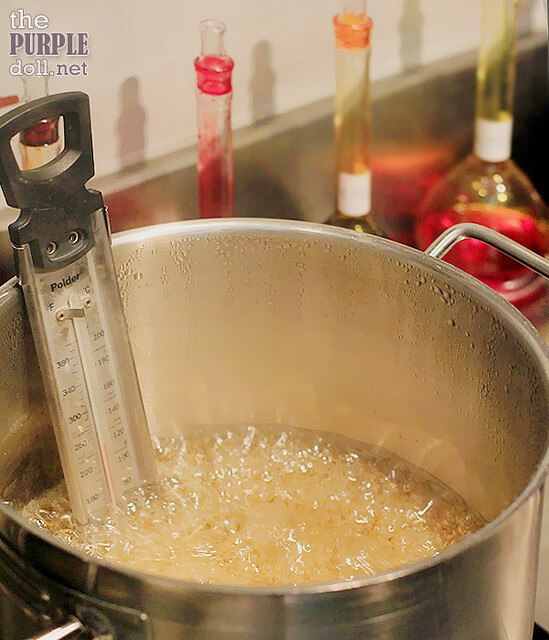 And just a trivia, that pot of boiling sugar is really hot, 300ºF or 150ºC at most! One of the candymen then added in the flavoring and colors. 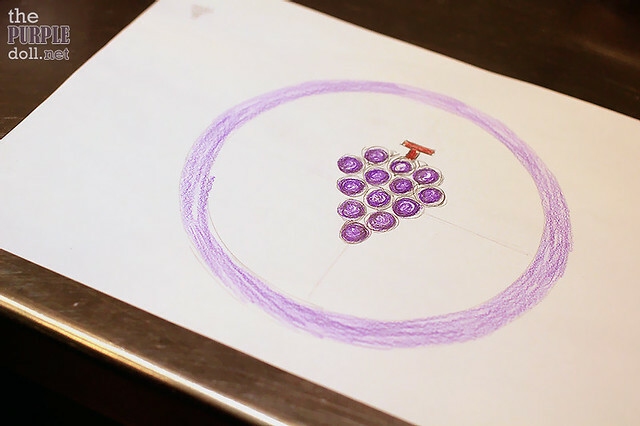 For our session, he used "grape" syrup, and purple, white and some light brown for coloring. Here's the design we were going to make. It doesn't look too complicated on paper. But wait till you get to the actual procedure... It becomes really technical! 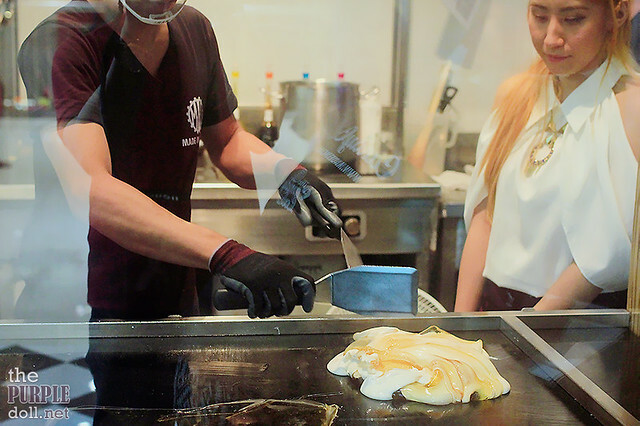 Since we're dealing with hot candy mixture, we were all given protective gloves which we even wore over a pair of disposable latex ones for added protection. After the candyman portioned the candy mixture, our group was off to kneading mostly cylinders on the hot table. Trivia: There are 2 kinds of surfaces at the workshop -- a hot table to keep the candy malleable, and a cool surface where the candy rests to harden. After the initial kneading, we were off to assembling. I can't exactly detail the process since it was quite complicated. But to give you a better idea, the design you see inside the hard candy is first made on a bigger scale. When the design on the big-scale candy is done, the candy is stretched out to make it thinner in diameter. And after cutting them to about 12 inches, the candy rests to cool. The next step when the candy gets nice and hard, is chopping them down to about 2cm pieces. I got to try my hands on the actual chopping, and boy was it nerve-racking! I'm usually good with knives, but their cleaver just looked and felt too sharp. We were all very slow and careful on this step, trying to chop more precisely. But when kuya candyman held the cleaver, he chopped 'em candies at lightning speed! Amazeballs! While the candies look almost finished after chopping, there's still another step that needs to be done before packing them in foil bags or glass jars. Quality control as I call it. 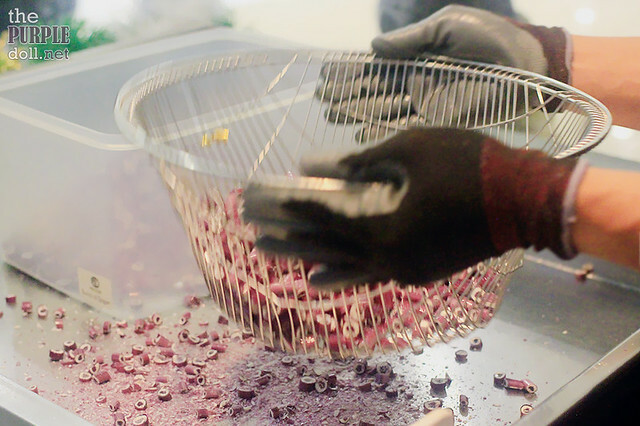 This step involves sifting the chopped candies to filter the good ones from the bad ones. Tadaaaa!!! Here's the final product. 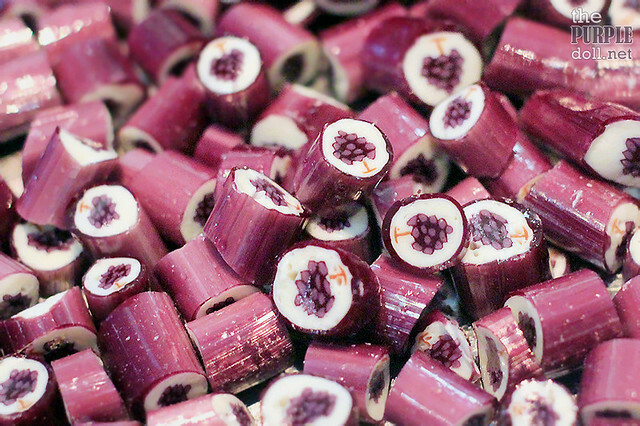 Although the grapes doesn't look perfectly round, it was still impressive that our candy looked decent. I was actually expecting the design to be more deformed since it had 4 different pairs of hands kneading it, pulling it and what not. And while it took us over an hour to make these candies, we were told that the candymen at Made in Candy can finish a batch (at least 4kg) in just a few minutes! Look at that bigger version of the candy made into lollie! Ain't it pretty? 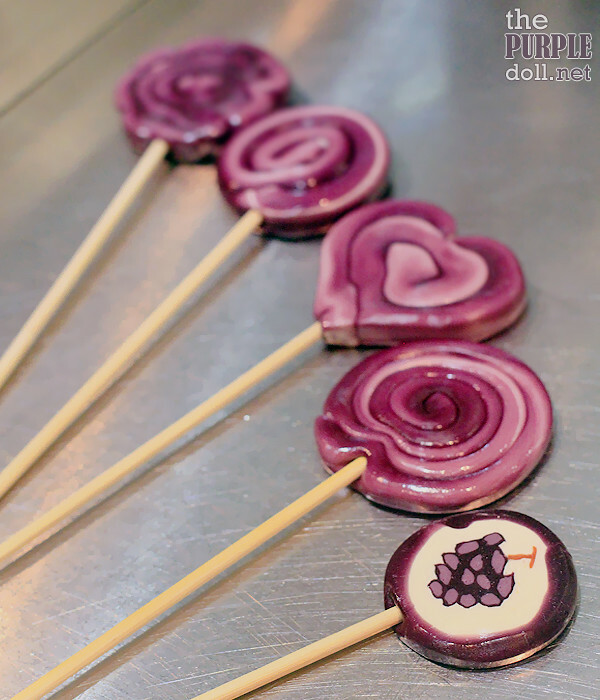 Some of the pulled candies (before the chopping part) can also be made into lollipops. Take a look at these ones we made. 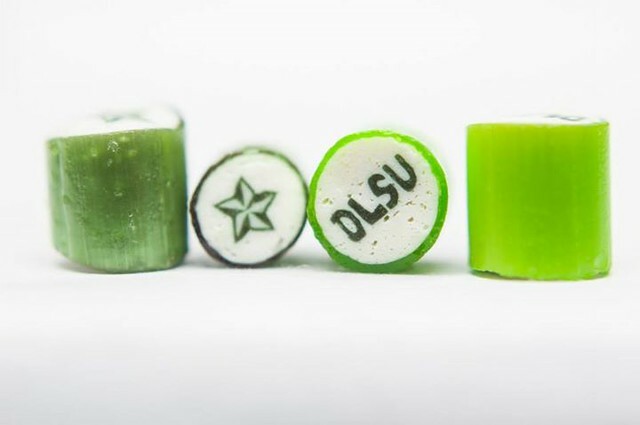 The better-looking lollies were made by kuya candyman though. I left Made in Candy with these goodies which I happily shared with the whole household. And they really enjoyed every single piece! Even my dad who doesn't like sweets in general, has been so hooked that he wanted the whole foil pack for himself! Well, I don't really wonder why 'cause unlike the usual commercial soft candies, these traditionally-made hard artisan candies are tastier and can last longer. They're meant to be sucked, not chewed, so a little really goes a long way. 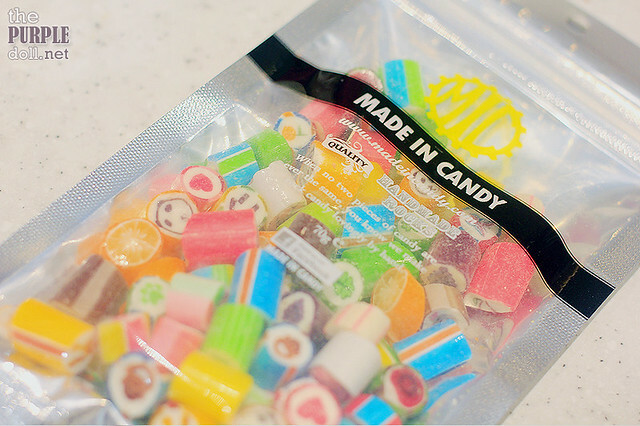 Made in Candy has 35 flavors and designs. 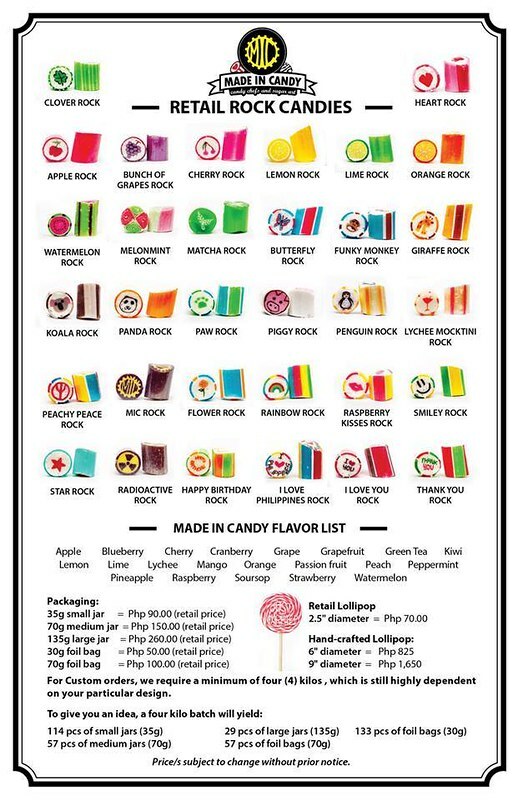 And if you're curious, their bestsellers are the Rainbow Rock (raspberry, blueberry, strawberry, grape) and Watermelon Rock. But after trying a bag of everything, I found myself more hooked to the Lime Rock! 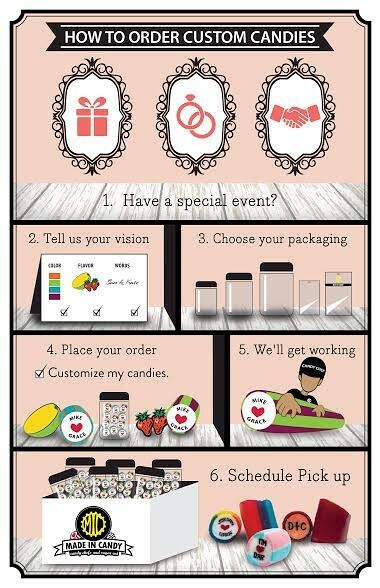 Anyhow, above is a list of Made in Candy flavors, along with more samples of their custom hard candies, and information on how to place an order for customized candies. We had a fun learning session that required arm muscle exercises haha. Their branch in MOA has just opened, right? I just saw the Instagram post of Made in Candy a few days ago. It's great that I have this branch that's closer to my workplace. :) I'll consider buying some for my workmates. yummy I hope Davao could have Made In Candy. I am a fan of candies especially when it is in a pretty container. One of a kind. Perfect for all ages. 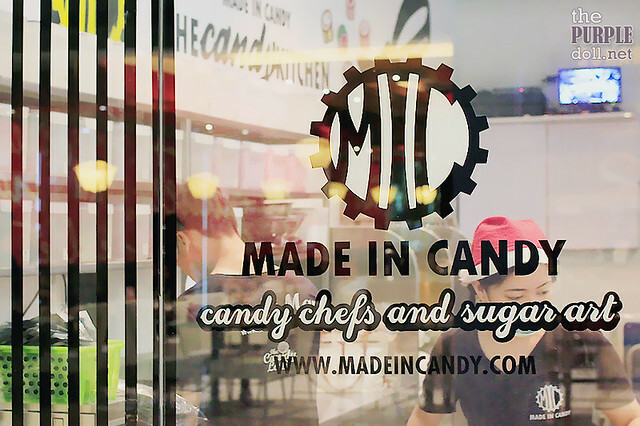 I always love watching the staff at Made in Candy create candy. They can get really creative with the designs, too! 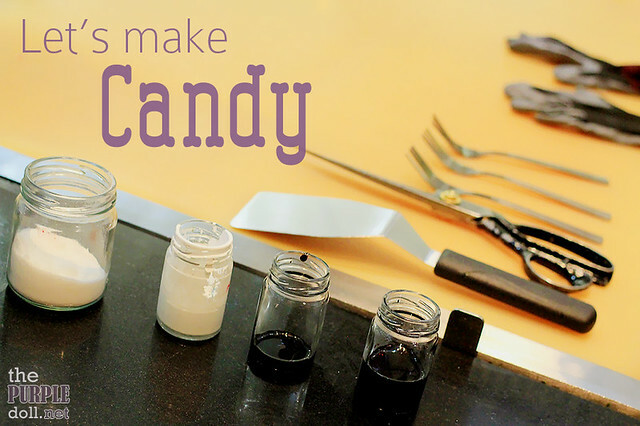 Love what you've experienced this candy-making and really cool to make it yourself. Hope the Made in Candy company will prosper in the months to come. Sounds like a really fun experience :) Sweet tooth paradise for sure. This would really make great ideas Sumi. Having the purple one is perfect for your site. It sure looks like you all had fun with candy making. This is the same as the one in Rockwell, right? 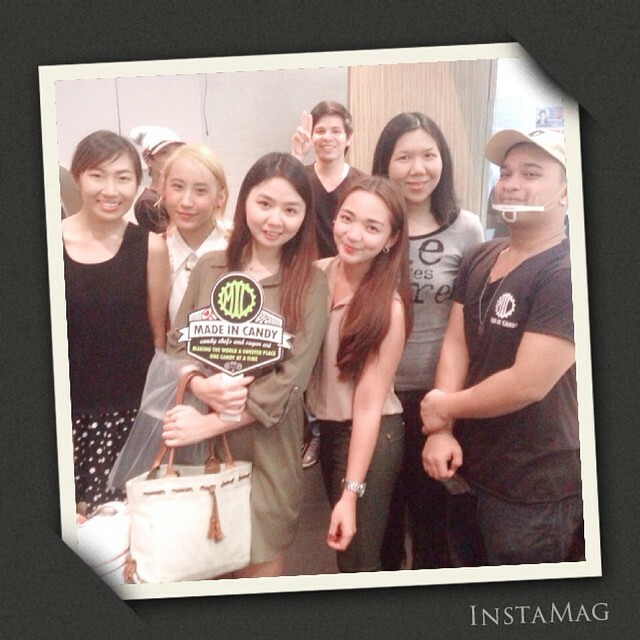 It must have been a blast for you who's-who in Philippine lifestyle bloggers - Sumi, Berylle and Roch! If the lime tastes like Lifesavers Lime, I will also like it very much. 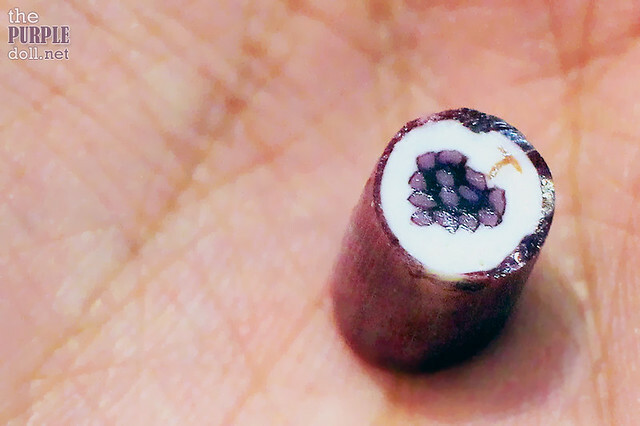 I want to make my own candy too! I love this much, but I don't think they open for make my own candy. Hopefully one day I can join such pleasant event! 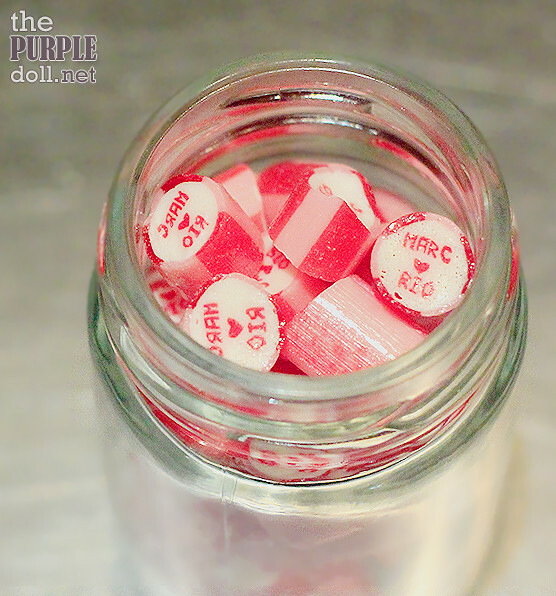 Customized candy is super duper cool~~ I'll really love to make one in future! In my country, we have Sticky! Not sure on customized candy. but this looks like a fun event. ohh, this kind of hard lollies are really trending across the world, isn't it? so nice that you got to try making it! looks fun! What a smart business idea. I love that they showed you how to do it and then gave you permission to photograph the process. Love it. i will definitely go to their MOA branch. is it possible that i can bring my kid with me and make our own candies? My favorite is actually the raspberry rocks. Whenever I see a Made in candy stall I always stay and watch the candy people make them! They just look so cool with all the hard work they put through each candy. I almost love that candy but I wish they have something softer, more tooth friendly for my kids. I love candies!! Would love to learn how to make them.. I am sure this was a fun experience!